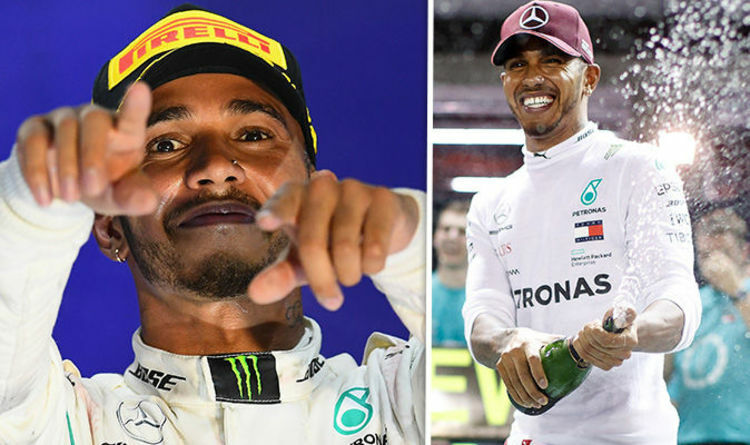 Lewis Hamilton cruised to victory at the Singapore Grand Prix and extended his lead in the championship to 40 points over Sebastian Vettel, who finished third. But the win didn’t come easily to Lewis, 33, who took to his Instagram after the race and admitted he was “glad” the weekend was over. Being filmed drinking from a bottle of water following his victory, the Mercedes driver said to the camera: “That was difficult, that was hard work. Lewis said there was no way he was going to let anyone get in front of him and was determined to win. Lewis blasted those who questioned his commitment to the sport as he has been busy releasing his own clothing range and jet-setting across the world. He hit back: “This morning everyone’s been questioning, I’ve been to China, New York, back to London, been to Italy. The F1 star continued: “So I was kind of going, I really need to be focused and not jet lagged. Lewis added: “But I love racing man, it’s a great feeling. His 7.3 million followers ensured they congratulated Lewis with many taking to the comment section to praise the sportsman. “Great race Lewis you deserve it,” another praised.